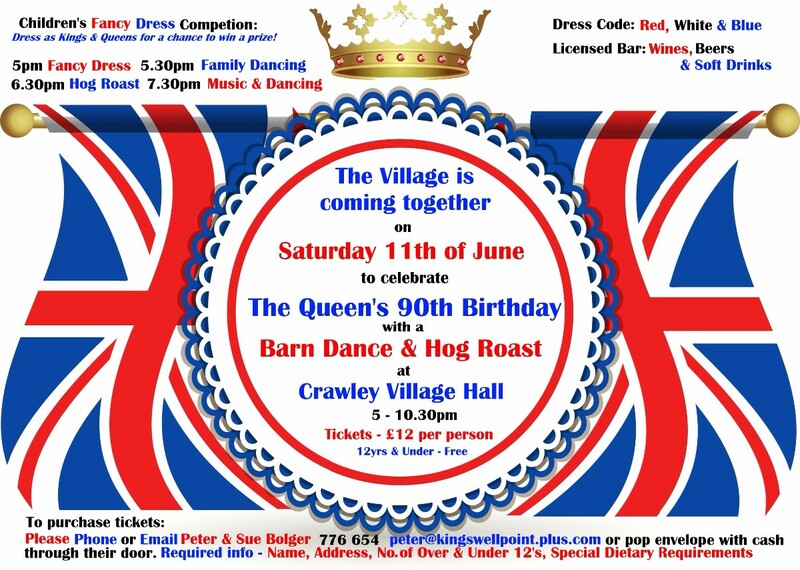 The Village is coming together on Saturday 11th of June to celebrate The Queen's 90th Birthday with a Barn Dance & Hog Roast at Crawley Village Hall. Tickets - £12 person (12yrs & under are free). Please phone or email Peter & Sue Bolger on 776 654 peter@kingswellpoint.plus.com or pop envelope with cash through their door - required info: Name, address, number of over and under 12's that will be attending and any special dietary requirements. Please purchase tickets early to help us know numbers!